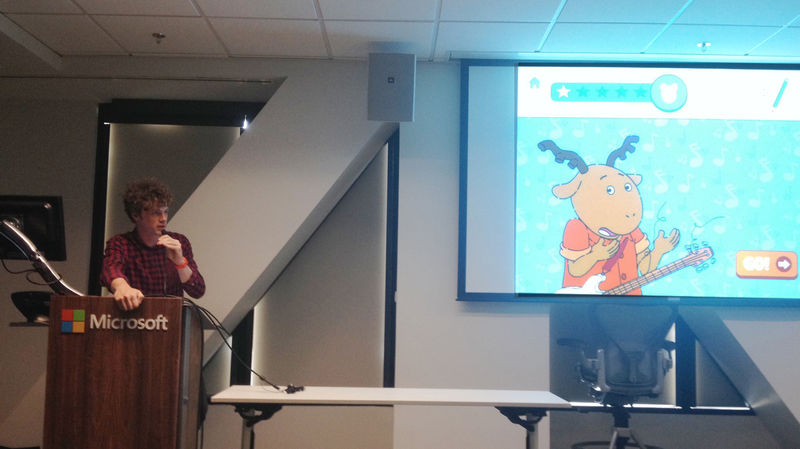 Jeff presented the forthcoming Arthur App at the Boston Games Forum Demo Night at the Microsoft Center in Cambridge, MA. OBEY is a competitive multiplayer action game inspired by authoritarian systems of power. Win using stealth, intelligence, trickery and creativity against your opponents. Hard lander is a physics based local multiplayer game designed for up to 4 players to duke it out in the most advanced rocket acrobatics simulation! You can also master your rocket acrobatics in single player challenges. Breakers Yard is a roguelike dual-stick shooter set in a junkyard world taken over by fierce breeds of robots.To survive you must cobble together the best weaponry you can on the fly. Codename Cygnus is a voice operated interactive audio drama inspired by old time radio serials. Players take on the role of a secret agent in an interactive spy thriller story using speech input for progression.